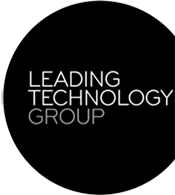 Leading Technology Group supports the investigations of several industry experts in fields where we are looking to invest in the future. Here we provide some high level discussion on the topics we found interesting. For the most part, cancers are caused by the accumulation of mutations to DNA as we age. It is reasonable to expect then, that the longer a person lives the greater the potential for mutations to occur, and for those mutations to cause cancer. So it is perhaps not surprising to most people that there is a striking increase in cancer mortality between early adult life and old age. However, it is less well known that cancer mortality has a tendency to sharply decline after the age of 90 and then to trend towards zero for centenarians. This in contrast to other diseases of ageing, such as cardiovascular disease, that show mortality rates that continue to increase exponentially with age and do not decline. Figure 1. Age-specific malignant cancer incidence rates, 20-year mortality rates, and 20-year prevalence proportions are illustrated for men in the Surveillance, Epidemiology, and End Results (SEER) 9 cancer registries from 1998 to 2002 taken from Harding et al. 2011. What are the explanations for this drop-off in cancer rates in ‘the oldest old’? It is not yet well understood, however there are several lines of enquiry. Firstly, it is possible that people over the age of 90 may be insusceptible to cancer, or that their cancer remains undiagnosed. Perhaps the oldest old are asymptomatic, or the presence of cancer is simply masked by other, more obvious and pressing health concerns. A second suggestion is that individuals that have genetic, environmental or lifestyle risk factors that predispose them to cancer, are more likely to succumb to the disease before they reach very old age. A third line of reasoning suggests that the virulence of cancer in old age is limited by the general senescence of the elderly body. To thrive, cancer requires the proliferation of cells and the creation of new blood vessels to support tumour growth. The genetic mutations that cause cancer may continue to occur at an ever increasing rate, but the resulting cancers cannot be supported by the elderly body. In practice, the observed decline in cancer rates in the very elderly is likely to be the result of several factors. Nevertheless, this highlights an opportunity for further research in this area to increase our understanding of cancer and aging. 1. DePinho RA (2000). The age of cancer. Nature 408 (6809): 248–254. 2. Harding C, Pompei F and Wilson R (2012). Peak and decline in cancer incidence, mortality, and prevalence at old ages. Cancer 118 (5): 1371–1386. 3. Horiuchi S, Finch CE, Meslé F and Vallin J (2003). Differential patterns of age-related mortality increase in middle age and old age. The Journals of Gerontology Series A: Biological Sciences and Medical Sciences 58 (6): B495–B507. 4. Pompei F and Wilson R (2001). Age distribution of cancer: the incidence turnover at old age. Human and Ecological Risk Assessment 7 (6): 1619–1650.